AleaSoft provides solutions for automatic electricity load forecasting in Eastern Europe countries. January 2, 2007-Barcelona. Slovenské elektrárne, the second largest utility company in the Central and Eastern Europe (with nearly 7.000 MW of total capacity) and member of ENEL SpA Group, has selected AleaSoft (aleasoft.com) for the supply of software for demand forecasting in the following countries: Poland, Hungary, Slovakia and Czech Republic. Slovenské elektrárne is enjoying a strategically important position in Slovakia, in the businesses of generation, sale, purchase and trade in electricity. The objective of this supply is to support Slovenské elektrárne activities and optimize the scheduling, planning and market operations. AleaSoft tools supplied to Slovenské elektrárne provide electricity consumption forecasting in Poland, Hungary, Slovakia and Czech Republic: hourly forecasting in the short term (10 days), hourly forecasting in the mid term (2 years) and monthly forecasting in the long term (15 years). The forecasting results are accurate and the processes are totally automatic. The applications supplied are based on AleaSoft unique forecasting models, combining AleaSoft Neural Networks and General Statistics. The superior performance of AleaSoft tools in comparison with other tools in the market is due to the robust and automatic learning process. Once the applications are installed, they do not need regular supervision or adjustment done by a specialist. The applications parameters are automatically adjusted on the basis of past results. AleaSoft contract with Slovenské elektrárne reinforces the position of AleaSoft as a leading provider of robust and reliable forecasting tools addressed to electricity market agents. It is also a strategic step for AleaSoft expansion policy in Eastern Europe. AleaSoft, was set up in 1999 as a spin-off of the Technical University of Catalonia (UPC), provides a cutting-edge technology for energy forecasting satisfying specific needs for accuracy and automation. 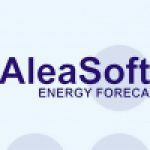 AleaSoft provides tools for energy forecasting in the following fields: demand forecasting, electricity price forecasting and wind power forecasting. AleaSoft is a leading supplier of this kind of solutions, with clients as Electrabel, EDF, Enel, Endesa Italia, Terna – GRTN, REE, Endesa, Iberdrola, Unión Fenosa and Viesgo.